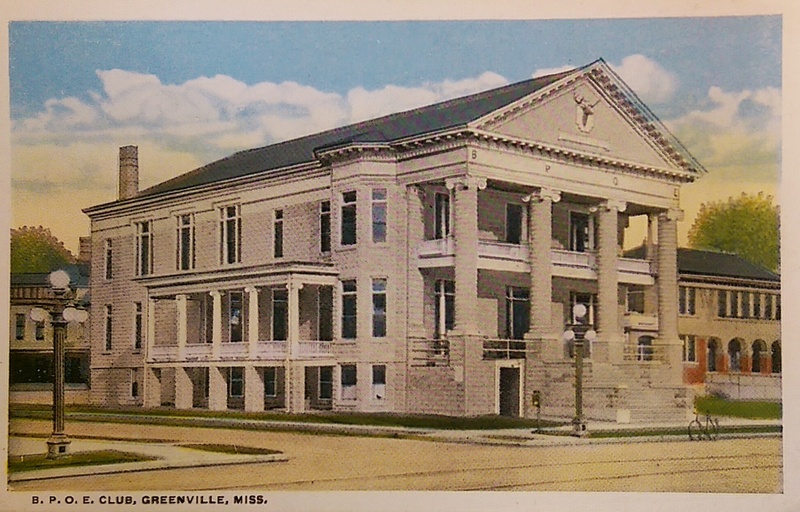 Greenville’s Elk’s Lodge, in the city’s downtown, was completed in late 1906 or early 1907. Once a mainstay of the city’s social scene, today it is facing destruction for a downtown “greenspace” (i.e. empty space). 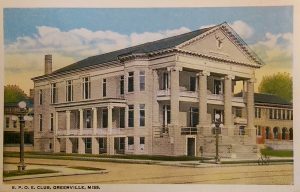 Designated a Mississippi Landmark in 2002, the building is also a contributing structure to the National Register Greenville Commercial District. Contributing resources adds to the historic significance of a district. Despite this significance, the city seems set on a new “greenspace” to replace the Steinmart Square that has been designated for a new downtown Federal courthouse. Smart downtown greenspaces are nice in thriving urban area, but destroying an iconic building in Greenville’s struggling downtown isn’t. It will leave a hole in the historic downtown corridor where there was once a majestic 100+-year-old building. The city’s decision is also troubling given the fact that an out-of-town developer, Joshua Cain, has expressed interest in restoring the building into a boutique hotel. Cain has a proven track record in California and with the 1857 Belmont Plantation at Wayside. Ignoring a potential investment and creating an empty space in Greenville’s downtown is obviously a lose-lose situation for the city.